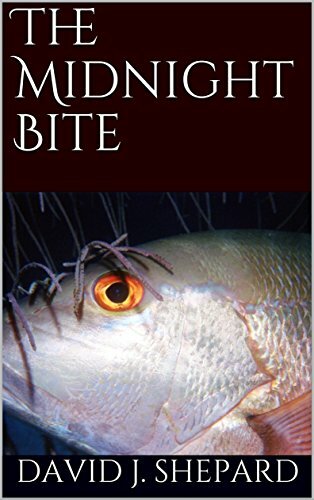 The Midnight Bite takes readers into a world of an avid fisherman, Johnny, who’s nearing the twilight years of life and seeks his ultimate underwater foe. What was the inspiration for this short and engaging story? My Sister. This story is an accumulation of many true events in my life that take place in a fictional setting. The Midnight bite is real for several species such as the Mutton, Tuna, and Grouper. My fishing companion is my brother-in-law, who has a hard time waking up at midnight to fish. I was unable to go on the trip with him this year due to my health. Since I wasn’t there to wake him he slept right through an exceptionally hot Midnight tuna bite and was unable to deliver the fresh tuna my sister had requested. Since I’m the writer in the family she just mentioned that I should write a story called the Midnight bite. What I liked most about Johnny was that he was relateable; he was flawed and wasn’t afraid to admit it. What were the morals you were trying to capture when developing his character? Sometimes we see ourselves as too perfect and don’t take the time to listen to others or to what they are saying about us. We tend to tune people out and get ourselves in an emotional rut oblivious to new ideas and the story that others have to tell. The story follows an avid fisherman and is filled with lots of fishing references. What has been your experience with fishing and how did that translate in the novel? All of Johnny’s flashbacks and fishing stories are true events that have happened to me at one time or another. The part where he forgets his battery is a reoccurring nightmare I’ve had for years. There really is an AAHA and I do have the shirt and jacket to prove it. Our membership totals 9. I’m working on a new book called “The Old Man” which should be available after the first of the year. This is the story of an elderly man that intervenes and foils an attempted bank robbery by four gang members. The gang retaliates and swears revenge but they don’t know who they are dealing with as one by one their best ideas are spoiled by this older gentleman. Embarrassed and made a laughing stock on their own turf they devise a plan to eliminate the old man and save face. All three books in the Jack Henry Saga under one cover. Jack Henry, a man from simple middle-class roots embraces his life to the fullest. 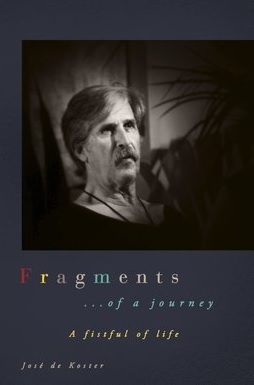 This series compiles his adventures into multiple stories about his life. As you journey with Jack you will witness his resolve about his God, family, friends, country and get to know and love this guy Jack. If only everyone had a friend like Jack. Follow two sisters and one man on their life’s journey as they perform a great service to the future of mankind. What they discover is the true love trumps all things and finds its own way. Many saltwater fish are regulated. The Department of fisheries establishes weight and size measurements and open and closed seasons for all fish regulated or not, intended to manage the fishery for present and future anglers. If there is an established open and closed season the season officially begins at 12:01 AM or one minute past midnight of the opening day. This is referred to by anglers as the 12:01 or midnight bite. It holds the theory that the fish are just as anxious for the season to begin as the fisherman and produces the largest bounty of the season. Along the way, he makes several discoveries that give him a new perspective on his life and the meaning of the Midnight Bite. Posted on October 1, 2017, in Interviews and tagged adventure, amazon, amazon books, amazon ebook, angler, author, author interview, bait, bass, book, book review, books, david j shepard, ebook, ebooks, fantasy, fantasy book review, fiction, fish, fisherman, fishery, fishing, goodreads, grouper, interview, kindle, kindle book, kindle ebook, life, literature, mutton, mystery, novel, publishing, read, reading, review, reviews, season, short stories, stories, story, the midnight bite, true, tuna, urban fantasy, write, writer, writing. Bookmark the permalink. Leave a comment.